My hair has many states, from crazy curly to super straight, but none of its styles are achievable without a little help. And by a little help, I mean I have drawers, cabinets and shelves of products. 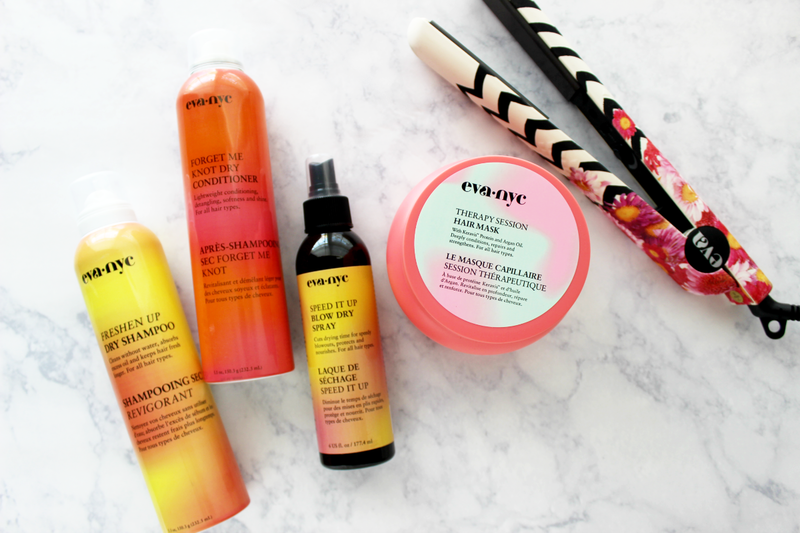 I recently added Eva NYC's Blowout Kit to the mix and their line has knocked a few of my longstanding faves out of rotation. Since it takes a lot of heat to take my hair from curly to straight, restorative deep conditioners are my life. Their Therapy Session Hair Mask has Argan Oil and proteins that left my hair feeling smooth and smelling like heaven. To combat heat damage, I've always used heat protectants, so I looked forward to trying the Speed It Up Blow Dry Spray. 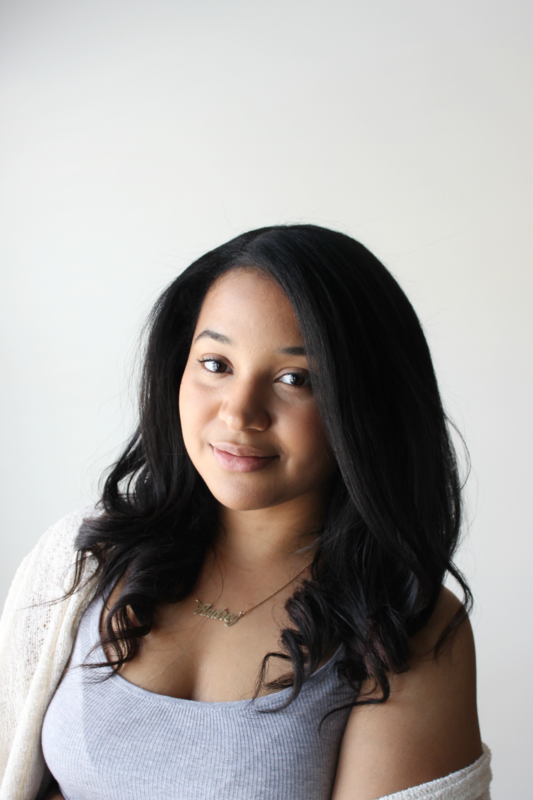 It promised cutting blow dry time, but what I loved most about the product was the shine. After one pass of their very cute flat iron, my hair glistened like silk. Post styling, days pass and my hair might need a little refresher. I've used dry shampoos before, so I was familiar with how well they soak up oil, especially at my roots. Using their Forget Me Knot Dry Conditioner was a whole new world, though. For me, it was basically a finishing shine serum in a can. My absolute favorites were the Hair Mask and Blow Dry Spray, which now take top spots in my hair routine. I know this has no say when it comes to performance, but every last one of their products smelled divine. So, not only do their products make your hair look pretty, they make you smell pretty too, and that's a winning combo. Eva NYC provided their products for review, but as always, opinions are all my own. I love hearing about new hair products because I am always looking out for the next big thing. I can't wait to check these out! 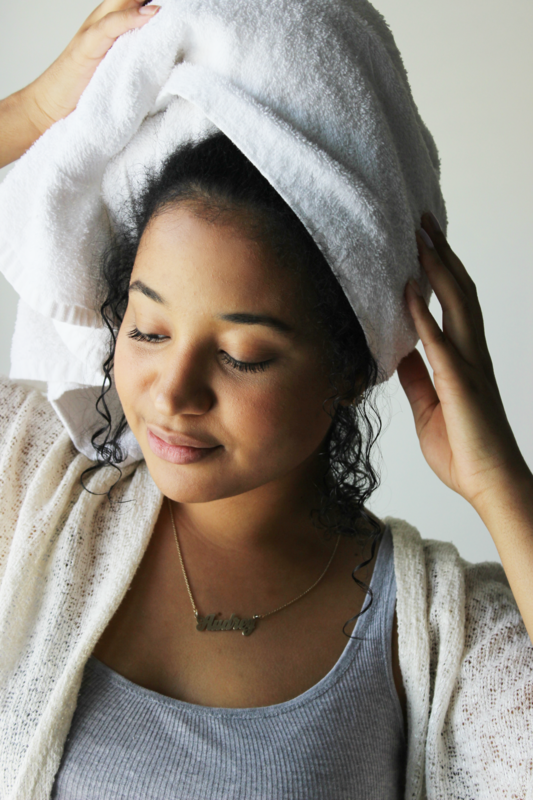 There iron is so cute, and your hair looks amazing naturally! The hair mask and blow dry spray do seem great. Would love to try that. 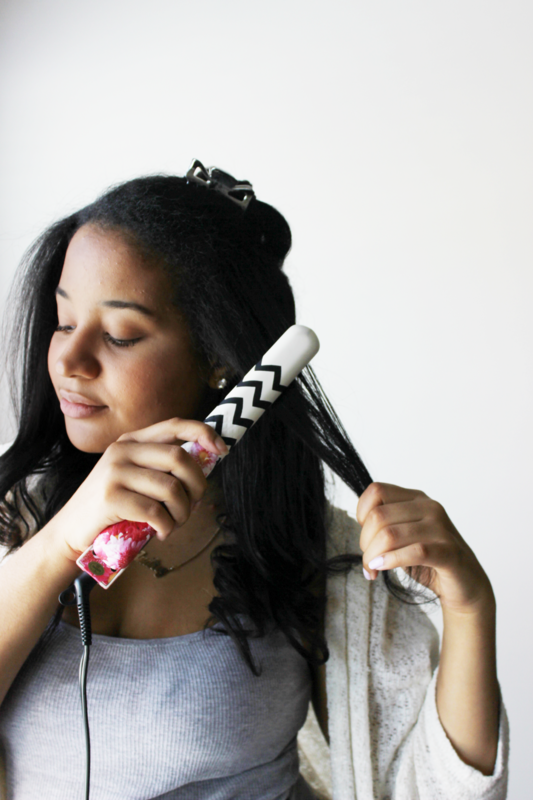 I've been wondering how you get your hair so smooth and gorgeous! That hair mask sounds divine! I was looking for a good hair mask to help with the Summer damage from the sun. Thanks for this review! I needed this, my hair is very similar to yours. Definitely going to look into these products! You hair is gorgeous! I love hair products that smell amazing!! I am always so jealous of people who can wield a hair straightener like its no one's business! I am so nervous I am going to burn myself, that I never really gave it a try. I usually just stick to a blow dryer. But that was a total tangent! love your verdict - they make you smell pretty too! Always on the hunt for new products, and especially ones that do heat-damage control. Your hair always looks so amazing! You have a great hair! It looks like an amazing product. Great job!! This is such a great review! I love the idea of the blow dry spray -- cutting dry time is always great and the shine is fantastic! Your hair looks gorgeous!! I put my hair through a lot of heat styling as well, and I"m always on the look out for products that work to get it straight while keeping it healthy! Thanks for the review. Your hair is always wonderful either way you style it! Sounds very promising! I might have to try that dry shampoo!